During my book release months, I typically follow a theme of cakes and pies. 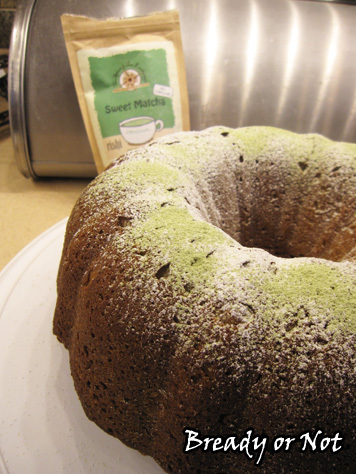 This time around, we’re doing something different: baked goods featuring matcha powder, aka green tea! 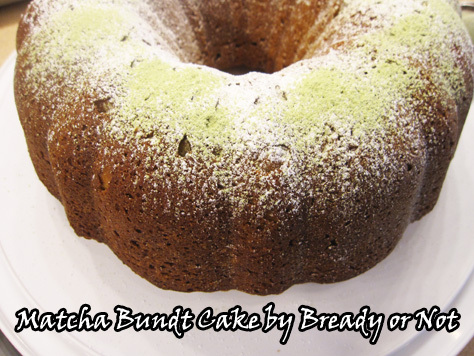 My first recipe can’t help but follow the traditional cake theme, though: Matcha Bundt Cake. The America in my books Breath of Earth and Call of Fire is heavily influenced by Japanese culture. That’s evident in architecture, nickel cinemas, the vernacular–and in baked goods, too. 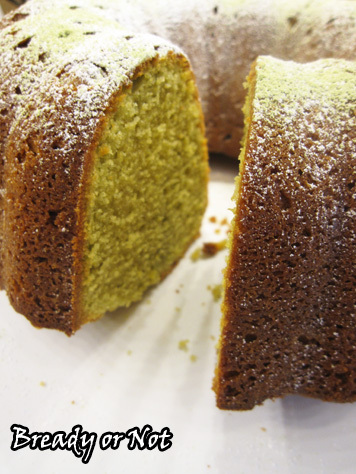 Of course, in our timeline, the phenomenon of green tea in leavened sweets is a contemporary innovation. The type of green tea you use may produce different results. I used a Rishi sweet green tea blend that includes sugar, making it ideal for lattes or baked goods. 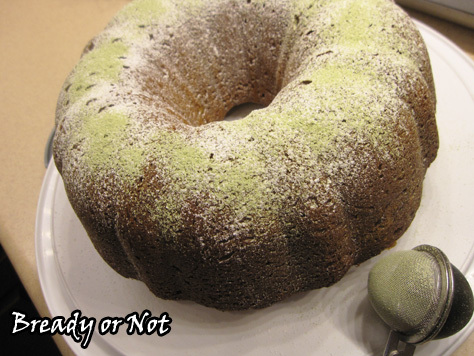 This bundt cake naturally baked up with a lovely light green tint, but as you’ll see, in some of the forthcoming cookie recipes, the green is barely visible. If you want things to turn out VERY green, just add some food dye. 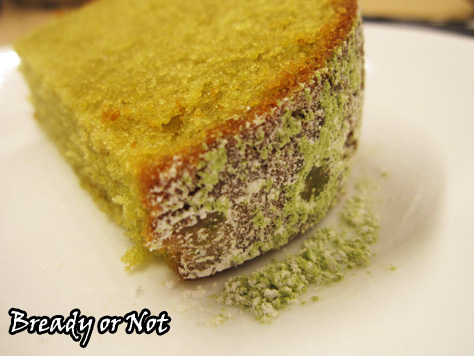 This is essentially a tender pound cake in both taste and texture, with a unique fresh flavor from the tea. Modified from Week of Menus. 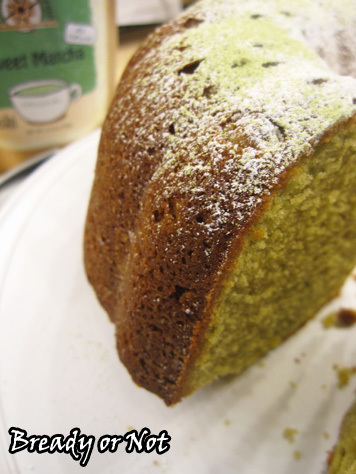 This bundt cake with green tea has the texture and taste of a pound cake, and would be lovely for breakfast, brunch, or dessert! 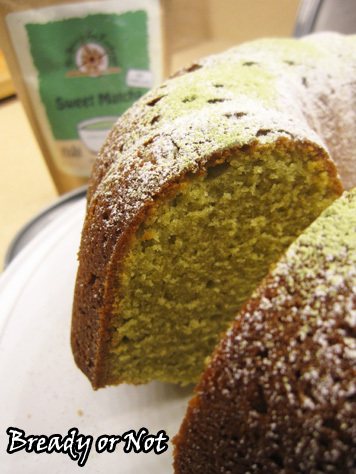 Note that different blends of matcha will produce different results with taste and green tint; it’s recommended to use a sweet matcha here, which has added sugar. Preheat oven at 350-degrees. Grease and lightly flour a 10-or 12-inch bundt pan. In a medium bowl, stir together the dry ingredients: flour, matcha powder, baking powder, baking soda and salt. Set aside. In a large bowl, beat the butter creamy. Gradually add sugar; continue to mix until it is light in texture and color. Add the eggs one at a time, beating after each addition, followed by the vanilla extract. Gradually add the dry mix and sour cream into the big bowl, going back and forth between the two, until everything is combined. Scoop batter into the ready pan. Bake cake for 50 to 60 minutes, until it passes the toothpick test in the middle. Cool the cake for about 10 minutes, then invert it onto a rack to completely cool. 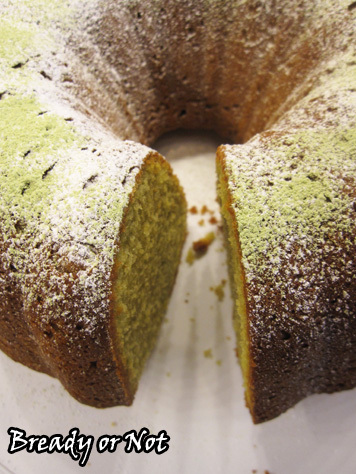 Sift the powdered sugar on top of the cake, followed by the matcha. Slice and serve. Keep covered on counter.